(1936, Cologne, DE) studied at the Kölner Werkschulen and the Staatliche Werkkunstschule in Kassel after an apprenticeship as a carpenter. 1969 founder of the Galerie für kollektive Kunst, Berlin. 1970 founder of producer’s gallery Augenladen in Mannheim. He lives in Mannheim, DE. Exhib. : 1961, François Morellet, Uli Pohl, Bernhard Sandfort, Studiengalerie, Technische Hochschule Stuttgart. 1962, Gerhard Rühm / Bernhard Sandfort / Herbert Oehm, studio f, Ulm. 1962, Konstruktivisten, Städtisches Museum Leverkusen Schloss Morsbroich. (1910, Nancy, today FR – 1995, Aix-en-Provence, FR) studied at the École Polytechnique (grad. 1929) and the École supérieure d’électricité et des télécommunications, Paris (grad. 1931). From 1936 worked for the Radiodiffusion Francaise. 1951 co-founder of the Groupe de Recherche de Musique Concrète, from 1958 Groupe de Recherches Musicales (GRM). From 1960 worked for the department of the Service de la Recherche de la Radiodiffusion-télévision francaise (RTF), which in 1964 became the Office de radiodiffusion-télévision francaise (ORTF), and from 1974 for the Institut National de l’Audiovisuel (INA). (1940, Florence, IT – 1971, Milan, IT) studied at the Istituto Statale d’Arte in Rome and the Accademia di Belle Arti di Firenze, Florence. 1960 founder of the literary magazine Il Malinteso. From 1969 professor at the Accademia di Belle Arti dell’Aquila. Exhib. : 1966, Weiss auf Weiss, Kunsthalle Bern. 1966, Venice Biennale. 1972, Venice Biennale. Lit. : publisher of the magazine Il Malinteso – periodico di discussione, 1962–[–]. (1934, Vienna, AT) studied theater directing (grad. 1963). 1962 founder of werkstatt. Independent theater productions, experimental theater, and multimedia events. 1967–1984 research assistant at the Österreichisches Filmmuseum. 1968 co-founder of the Austrian Filmmakers Cooperative. 1971–2006 taught at the Akademie der bildenden Künste Wien, Vienna. 1982–2003 taught at the Universität für künstlerische und industrielle Gestaltung Linz. 1981 founder of the Gesellschaft für Filmtheorie, later SYNEMA – Gesellschaft für Film und Medien. Exhib. : 1967, Meeting 67. Bühne und Autor heute, werkstatt Breitenbrunn. 1968, Meeting Film Literatur, werkstatt Breitenbrunn. Lit. : G. S. and Marc Adrian, “Syspot,” in: protokolle 70, 1, 1970, pp. 86f. G. S. (ed. ), Avantgardistischer Film 1951–1971: Theorie, Munich, 1975. (1940, Jülich, DE) studied philosophy, German literature, linguistics, and art history in Freiburg, Göttingen, and Münster, DE (1960–1965, Ph.D. 1966). 1965–1969 assistant for philosophy at the Technische Hochschule Karlsruhe. 1968 habilitation thesis in philosophy. 1971 professor of text theory and from 1973 of the theory of literature at the University of Bielefeld. From 1979 professor of German literature and general literature at the University of Siegen. 1984–1997 director of the Institute for Empirical Literature and Media Research (LUMIS), University of Siegen. Since 1997 professor for communications theory and media culture at the University of Münster and director of the Institute of Communication Sciences. He lives in Münster, DE. Exhib. : 1959, [–], Stadtbücherei, Essen. 1962, [–], Junges Theater, Göttingen. 1973, [–], Galerie Baecker, Bochum. Lit. : Co-publisher with Dietfried Gerhardus of the magazine BOGAWUS. Zeitschrift für Literatur, Kunst und Philosophie (1964–1968). Publisher of the magazine volumina I–V (1968–1976). S. J. S., Sprache und Denken als sprachphilosophisches Problem von Locke bis Wittgenstein, The Hague, 1968. S. J. S., Bedeutung und Begriff. Zur Fundierung einer sprachphilosophischen Semantik, Braunschweig, 1969. (1931, Geneva, CH – 2007, Paris, FR) studied at the Hochschule für Gestaltung Ulm (HfG Ulm) (1954–1958). 1962/1963 teaching appointment at the Hochschule für Gestaltung Ulm. (1941, Stuttgart, DE) studied art history at the University of Tübingen and architecture in Berlin, where he moved in 1961. 1978–1981 manager of Deutscher Werkbund Berlin. 1981–1989 executive planning officer with the senators of urban development and of cultural affairs, Berlin. 1991–1995 member of the steering committee of the Stadtforum Berlin. Founding member of the Deutsche Gesellschaft für Semiotik. He lives in Berlin, DE. Lit. : Alessandro Carlini and B. S. (eds. ), Konzept 1 – Architektur als Zeichensystem, Tübingen, 1971. (1926, Ahlen, DE – 2009, Göttingen, DE) studied physics at the University of Göttingen (diploma 1951, Ph.D. 1952). 1954 joined research staff of Bell Telephone Laboratories at Murray Hill, NJ. 1958 head of the Acoustics Research Department, where he was in charge of acoustics and speech research (1958–1969). 1963 director of Acoustics and Speech Research at Bell Labs. In 1968, he generated computer graphics. Collaboration with Suzanne Hanauer. 1969–1991 professor of physics and director at the Drittes Physikalisches Institut, University of Göttingen; remained associated with Bell Labs. Exhib. : 1969, Some More Beginnings, Brooklyn Museum of Art, New York. 1969, Computer-Kunst. On the Eve of Tomorrow, Kubus, Hannover. 1970, Impulse Computerkunst: Graphik, Plastik, Musik, Film, Kunstverein München, Munich. Lit. : M. R. S., “Die statistischen Parameter der Frequenzkurven von grossen Räumen,” in: Acustica, 4, 1954, pp. 594–600. M. R. S., “Images from Computers and Microfilm Plotters,” in: Communications of the Association for Computing Machinery, vol. 12, no. 2, February 1969, pp. 95–101. Bishnu S. Atal and M. R. S., “Adaptive Predictive Coding of Speech Signals,” in: Bell Systems Technical Journal, vol. 49, no. 8, October 1970, pp. 1973–1986. (1927, Cincinnati, OH, USA) studied at the College of Nursing and Health at the University of Cincinnati, OH. Studied and experimented with traditional media in the USA; calligraphy and brushwork in Japan. Created sculptures in the 1950s and 1960s. In 1968 she was introduced to computing at the Bell Telephone Laboratories, New Jersey, by Leon D. Harmon and John R. Vollaro. In 1969 she began to work on computer-generated movies in collaboration with Kenneth C. Knowlton. 1970 release of Pixillation. She lives in New York City, NY, USA. Exhib. : 1968, The Machine as Seen at the End of the Mechanical Age, The Museum of Modern Art, New York. Lit. : L. F. S., “Lillian Schwartz,” in: Ruth Leavitt (ed. ), Artist and Computer, Harmony Books, New York, 1976, pp. 107f. L. F. S. and Charles B. Rubinstein, “Film-making with Computer. Adapting a New Technology for Art,” in: Interdisciplinary Science Reviews, vol. 4, no. 4, December 1979, pp. 298–305. (1942, Madrid, ES) studied at the University of Madrid. 1970–1973 participated in the seminars “Generación automática de formas plásticas” at the computer center of the University of Madrid. She lives in Madrid. Exhib. : 1971, The Computer Assisted Art, Palacio de Congresos y Exposiciones, Madrid. 1971, Formas computadas, Ateneo, Madrid. (1940, Madrid, ES) studied architecture and psychology at the University of Madrid (grad. 1964, Ph.D. 1966). 1968–1973 participated in the seminars “Generación automática de formas plásticas” at the computer center of the University of Madrid. He was a professor at the Escuela Técnica de Arquitectura de Madrid. He lives in Madrid. Exhib. : 1969, Formas computables, computer center of the University of Madrid. 1971, The Computer Assisted Art, Palacio de Congresos y Exposiciones, Madrid. 1971, Formas computadas, Ateneo, Madrid. Lit. : J. S., “Estética – Información,” in: Ernesto García Camarero (ed. ), Ordenadores en el arte. Generación automática de formas plásticas, Madrid, 1969, pp. 49–56. J. S., “Precisión del problema,” in: Boletín del CCUM, 10, February 1970, pp. 25–33. J. S., “Pintura sobre redes moduladas. Conceptos generales,” in: Boletín del CCUM, 18, March 1972, pp. 1–3. (1948, Leeds, UK) studied at St Martin’s School of Art (1966–1969) and the Royal Academy of Art (1969–1972), London. 1972–1976 lived in Denver, CO, and New York City. Since 1994 collaboration with Michael Zelenkus. Since 1976 he lives in London, UK. Exhib. : [–], [–], Thomas Gibson Gallery, London. 1972, [–], Situation Gallery, London. (1929, Córdoba, ES) studied veterinary science at the University of Córdoba (grad. 1952). 1957–1962 founding member of Equipo 57. 1959 moved to Paris. He lives in Córdoba. (1944, Valencia, ES) studied painting at the Escuela Superior de Bellas Artes de San Jorge de Barcelona (1960–1965). 1968–1973 participated in the seminars “Generación automática de formas plásticas” at the computer center of the University of Madrid. She lives in Barcelona, ES. Exhib. : 1969, Formas computables, computer center of the University of Madrid. 1970, Generación automática de formas plásticas, computer center of the University of Madrid. 1971, The Computer Assisted Art, Palacio de Congresos y Exposiciones, Madrid. (1929, Alcamo, IT) is a self-taught artist since leaving university in 1958. Since 1980 studio for winter months in Rio de Janeiro. He lives in Milan, IT. Exhib. : 1966, Weiss auf Weiss, Kunsthalle Bern. 1966, Nuove ricerche visive in Italia, Galleria Milano, Milan. (1933, Postira, Brač, today HR – 2009, Zagreb, HR) studied Yugoslav and French literature at the University of Zagreb (grad. 1958, Ph.D. in phonetics 1965). From 1960 assistant at the Institute of Phonetics at the Faculty of Arts and Sciences, Zagreb. From 1965 senior lecturer and from 1980 full professor. Editor in chief of magazine Govor, member of the editorial board of jezik magazine and the revue Media research. He taught phonetics and linguistics to graduate and postgraduate students at various institutions. (1932, Guadalajara, ES) studied at the Escuela de Artes y Oficios de Madridand the Escuela Nacional de Bellas Artes Prilidiano Pueyrredón, Buenos Aires (1950–1957). 1960 founding member of the Centre de Recherche d’Art Visuel. 1961 founding member of the Groupe de Recherche d’Art Visuel (GRAV). He lives in Paris, FR. Exhib. : 1972, Venice Biennale. See also: Groupe de Recherche d’Art Visuel (GRAV). Lit. : See: Groupe de Recherche d’Art Visuel (GRAV). (1932, Schwäbisch Gmünd, DE – 2015, Schwäbisch Gmünd, DE) worked in the metal processing factory of his father, later also as designer (1948–1965). He is a self-taught artist. Guest student under Max Bense at the Technische Hochschule Stuttgart and Abraham A. Moles at the Hochschule für Gestaltung Ulm (HfG). 1966–1969 German correspondent for the journal Art International. Since 1974 married to the artist YongSa. Since 2002 creates mostly literary works. He lives in Schwäbisch Gmünd. Exhib. : 1964, Mouvement 2, Galerie Denise René, Paris. 1966, Ed Sommer. Plastische Arbeiten, (op)art galerie h. f. mayer, Esslingen. 1968, public eye, Kunsthaus Hamburg. (1942, Stuttgart, DE) studied painting at the Akademie der Bildenden Künste München, Munich, under Ernst Geitlinger. 1965–1968 founding member of Effekt. Exhib. : 1963, [–], Galleria Cadario, Milan. 1966, [–], Galerie Op Art, Esslingen. See also: Effekt. (1934, Dečani/Deçan, today Kosovo) studied at the Škola za likovnu i primjenjenu umjetnost, Herceg Novi, at the Akademija likovnih umjetnosti, Belgrade, and from 1969 at the Accademia di Belle Arti di Bologna. Since 1969 he has lived in Rome. (1923, Ciudad Bolívar, VE – 2005, Paris, FR) studied arts at the University of Caracas (1942–1947). 1947–1950 director of the Escuela de Artes Plásticas in Maracaibo, VE. 1950 moved to Paris. Exhib. : 1955, Le Mouvement, Galerie Denise René, Paris. 1958, Venice Biennale.1960, Konkrete Kunst. 50 Jahre Entwicklung, Helmhaus, Zurich. 1961, Bewogen Beweging, Stedelijk Museum, Amsterdam. (1940, [–]) studied litterae humaniores (classical languages and literature) at New College, Oxford University (B.A. 1962) and holds a Ph.D. in philosophy from Princeton University (1966). 1966 assistant professor of philosophy, 1971 associate professor of philosophy, 1982 professor of philosophy, 2005 professor emeritus, University of Toronto. (1924, Zagreb, today HR – 2010, Zagreb) studied at the Akademiji likovnih umjetnosti u Zagrebu, Zagreb (1943–1949). 1950–1956 member of Exat 51. Exhib. : 1967, srnec aleksandr, Galerija Studentskog centra, Zagreb. 1973, De consequenties van de machine, Museum Boijmans Van Beuningen, Rotterdam. See also: Exat 51. (1932, Otterndorf, DE) studied medicine in Marburg (1954–1959) and painting at the Akademie der Bildenden Künste München, Munich, under Ernst Geitlinger (1959–1963). 1963–1967 assistant at the Akademie der Bildenden Künste München under Georg Meistermann. From 1967 taught at the Werkkunstschule Offenbach. 1974–1994 professor at the Hochschule für Gestaltung Offenbach am Main. He lives in Frankfurt am Main, DE. Exhib. : 1960, Junge Maler. München – Ulm, studio f, Ulm. 1966, Sigma II, Galérie des Beaux-Arts, Bordeaux. 1968, public eye, Kunsthaus Hamburg. Lit. : K. S. and Dieter Hacker (eds. ), Drei Probleme aus dem Bereich der Informationsästhetik, Munich, 1966. (1926, Saint-Martin-Boulogne, FR – 2012, FR) studied at the École Nationale Supérieure des Beaux-Arts in Paris (since 1946). 1960 founding member of the Centre de Recherche d’Art Visuel. 1961 founding member of the Groupe de Recherche d’Art Visuel (GRAV). He lives in Crécy-la-Chapelle, FR. Exhib. : 1960, motus, Galleria Azimut, Milan. See also: Groupe de Recherche d’Art Visuel (GRAV). Lit. : J. S., “Déclaration,” in: GRAV (ed. ), L’Instabilité, exhib. cat., Maison des Beaux-Arts, Paris, 1962, n. p. J. S., “Homo Ludens,” in: Robho, 5, November/December 1967, n. p. See also: Groupe de Recherche d’Art Visuel (GRAV). (1943, Odessa, today UA) 1962–1966 founding member of Dviženije. Exhib. and lit. : See: Dviženije. (1940, [–], KS, USA) studied drama and acting at Northwestern University (1958–1960) and theater design and acting (B.A.) and directing and drama (M.A.) at the University of Kansas, Kansas City, MO (1960–1963). 1962–1975 married to Thomas Michael Stephens. 1963 co-founder of the New Center U.S. Art Cooperative Gallery, Kansas City, MO. 1966 founding member of the Art Research Center (ARC). 1965–1967 community center director at the Kansas City Missouri Parks and Recreation Department. 1968–1973 co-founder of the Midwest Area Peace and Freedom Coalition, Kansas City. Since 1978 owner of a medical transcription service company in Boston. She lives in the Boston area, MA, USA. (1941, Elkins, AR, USA) studied theater design, creative writing, and art history at the University of Kansas, Kansas City, MO (1959–1963). 1962–1964 co-founder and director of the New Center U.S. Art Cooperative Gallery, Kansas City, MO. 1966 founding member of the Art Research Center (ARC). He lives in Columbus, KS, USA. (1920, Osijek, today HR) studied chemistry (1938–1941 and 1946–1949, grad. 1949) at the University of Zagreb, physics at the University of Zagreb (from 1950), and nuclear physics at University College London (1956–1958). 1958–1960 researcher at the Commissariat à l’Énergie Atomique (CEA), Centre Fusion Controlée, Fontenay-aux-Roses, FR. 1961 director of the laboratory for physics and chemistry of ionized gases, later the laboratory for ionized gases at the Ruđer Bošković Institute, Zagreb. From 1965 lectures at the University of Zagreb. He lives in Zagreb, HR. Lit. : Z. Š., “High Current Glow Discharge with Electrolyte as Cathode,” in: Proceedings of the International Conference on Gas Discharges London, 1970, pp. 68–71. Z. Š. and P. Tomaš, “Excitation Processes in Helium Induced by Impact of Deuterons and Protons,” in: Physical Review, vol. 124, no. 3, 1961, pp. 810–813. ([–]) studied natural science (B.A. 1967) and computing science (diploma 1968) at the University of Cambridge (M.A. 1971). 1968–1971 research assistant at the Centre for Land Use and Built Form Studies at the University of Cambridge. Collaboration with Gustav Metzger. From 1971 worked for the University of Cambridge Computing Service. From 1991 head of user services at the University of Cambridge Computing Service. 1978–1985 partner and 1985–1998 director of a planning consultancy firm in Cambridge. 1987–2005 director, later chairman of a technology investment fund based in Cambridge, MA, USA. (1920, Vienna, AT – [–]) studied engineering. 1964 started to develop a system for generating cybernetic graphics and vector drawings. & Visual Research, werkstatt Breitenbrunn. 1969, Kunst und Computer, Zentralsparkasse Wien, Vienna. Lit. : J. H. S., “Retortenkunst. Zu Ausstellungen ‘Rationale Ästhetik’ in London, Zagreb und Wien,” in: Die Furche, 38, September 20, 1969, n. p. J. H. S., “ein rational-ästhetisches programm,” in: Fria Elfen and Will Frenken (eds. ), wb2 Dokumentation Werkstatt Breitenbrunn 1968, Breitenbrunn, 1970, pp. xxxiv–xxxv. (1926, Belgrade, today RS) studied at the Faculty of Electronics, telecommunications department (grad. 1952) and philosophy and nuclear physics at the University of Belgrade. 1952–1967 worked in the industry, carried out teaching and research activities, and worked in the Federal Chamber of Commerce in Belgrade. 1967 to late 1980s worked in the Zagreb Institute of Economics and was involved in interdisciplinary research projects. (1940, Emida, ID, USA) studied engineering at the University of Washington, Seattle (1958–1961). After service in the U.S. Army (1961–1963) studied physics at the University of Washington, Seattle (1964–1966). 1965–1966 employed at University of Washington as a programmer. 1965 created first work of computer art, The Shell, written in Algol on a Burroughs 5500 and plotted on a CalComp Model 563 at the University of Washington. 1966–1972 employed at CalComp programming department. 1968 produced Hummingbird, The Fisherman, and Plexus. 1972 B.S. in physics from the California State College Fullerton. 1972–2007 employed at Boeing as a programmer analyst. He lives in Everett, WA, USA. Exhib. : 1969, Computer-Kunst. On the Eve of Tomorrow, Kubus, Hannover. 1970, Impulse Computerkunst: Graphik, Plastik, Musik, Film, Kunstverein München, Munich. was founded in 1962. Directors were Dubravko Horvatić (1962–1964), Vjeran Zuppa (1964–1966), Želimir Koščević (1966–1980), Vladimir Gudac (1981–1989), and many others. Since 2003 Ksenija Baronica is head of the center. Exhib. organized at the Galerija SC: 1967, Hit Parade. 1968, Grupa OHO. 1970, Total Action. 1971, Goran Trbuljak. 1972, Bosch+ Bosch. 1973, Bucan Art. ([–]) studied art history at the University of Belgrade (grad. 1965). 1965–1978 curator at the Muzej savremene umetnosti, Beograd, Belgrade. 1979–1995 curator at the Narodni Muzej in Belgrade. 1991 Ph.D. from the University of Ljubljana with a thesis on Zenit magazine: Likovni krug časopisa Zenit 1921–1926. 1991–2002 professor of history of modern art at the Faculty of Architecture, University of Belgrade. From 1995 professor of history of modern art at the Akademija umetnosti, Novi Sad, RS. Lit. : I. S., “Londres. Cybernetic Serendipity,” in: Opus International, 18, 1968, pp. 89f. I. S., “Jugoslavia. Nuove tendenze artistiche e la nuova generazione,” in: D’Ars Agency, 43/44, 1968, pp. 68–82. I. S. with Jerko Denegri, “Nuove tendenze nell’arte jugoslava contemporanea,” in: La Battana, 18, 1969, pp. 145–152. (1943, Hillsville, VA, USA) studied engineering science at the University of Virginia (B.S.). President of Computer Creations, Charlottesville, VA. Lit. : L. S., Computer Art Human Response, Charlottesville, VA, 1968. (1913, Zagreb, today HR – 1993, Zagreb) studied philosophy at the University of Zagreb (grad. 1937) and psychology at the University of Paris (Ph.D. 1952). 1963 professor of sociology at the University of Zagreb in the Institute of Sociology that he had founded. Founder of the Korčula Summer School. 1952–1954 editor-in-chief of the journal Pogledi, 1967–1973 editor of the magazine Praxis (founded in 1964). Lit. : R. S., Egzistencijalizam i dekadencija, Zagreb, 1950. R. S., Umjetnost i psihologija, Zagreb, 1958. (1943, Zagreb, today HR – 2003, Zagreb) studied art history and English at the University of Zagreb (1962–1966). 1972–2003 chief curator at the Gradska galerija suvremene umjetnosti, Zagreb. 1983–1990 director of the Galerije grada Zagreba. Lit. : M. S., Nova umjetnička praksa 1966–1978, exhib. cat., Galerija suvremene umjetnosti, Zagreb, 1978. (1930, Todmorden, UK) studied mathematics in Bristol. 1951–1953 draughtsman in the Secret Service. He worked as a manager of programming development for International Computers Ltd., Bracknell, Berkshire, near London. 1969, founder of the Computer Arts Society. 1969 multimedia work SPASMO performed at Queen Elizabeth Hall, London. He lives in Wokingham, UK. Exhib. : 1969, Event One, Royal College of Art, London. 1970, Impulse Computerkunst: Graphik, Plastik, Musik, Film, Kunstverein München, Munich. (1936, Duga Resa, today HR – 2005, Krapinske toplice, HR) studied at the Akademija likovnih umjetnosti u Zagrebu, Zagreb (grad. 1961). 1978–2005 professor at the Akademija likovnih umjetnosti Zagrebu. (1920, Louny, today CZ) studied at the Mining University in Příbram (1938/1939) and at the Charles University in Prague (1945–1947). 1947 assistant at the institute for art education, Charles University in Prague. 1963 member of Křižovatka. 1964 first works with computer in collaboration with mathematician Jaroslav Blažek. 1966–1980 professor at the Charles University in Prague. He lives in Louny. Exhib. : 1965, nuove realtá nell’arte de cecoslovacchia contemporanea, La Carabaga club d’arte, Genoa. 1965, V. Biennale di San Marino. 1965, Tschechoslowakische Kunst heute, Städtische Kunstgalerie Bochum and Staatliche Kunsthalle Baden-Baden. 1967, Konstruktive Tendenzen aus Tschechoslowakei, Studiogalerie, Johann Wolfgang Goethe University, Frankfurt am Main. 1968, documenta 4, Kassel. Lit. : Z. S., and Jaroslav Blažek vol. 3, no. 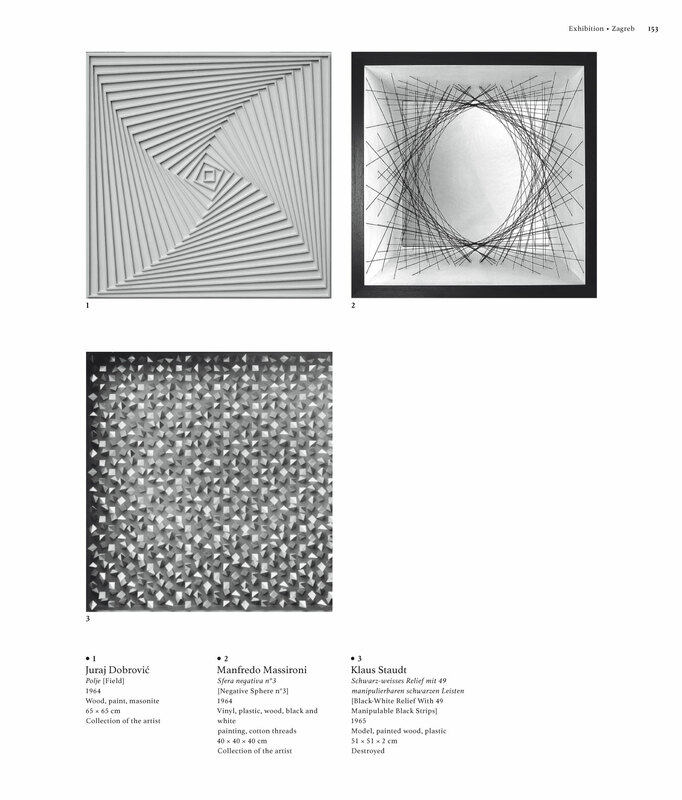 4, “Computer-Aided Multi-Element Geometrical Abstract Paintings,” in: Leonardo, October 1970, pp. 409–413. (1949, Subotica, today RS – 2004, Subotica) was a self-taught artist. Member of the Bosch+Bosch group. (1903, Szandaszőlős, today HU – 1978, Budapest, HU) self-taught artist and informal studies with Lajos Kassák. 1935 member of the unionship of Paál László association. 1958–1963 lived in Paris and other French cities. Exhib. : 1960, Société des artistes indépendantes, Grand Palais, Paris. 1967, I. Országos Kisplasztikai Biennálé, Pécs. 1969, II. Országos Kisplasztikai Biennálé, Pécs. (1950, Pačir, today RS) studied at the Alexander Tsúszó Academy in Russia (1980–1984). 1969 1976 co-founder and member of the Bosch+Bosch group. 1971–1972 editor of the magazine Új Symposion, Novi Sad. 1974–1985 editor of the daily newspaper Magyar Szó. 1985–1989 editor of the magazine Új Symposion. 1989–1993 editor of the newspaper Családi Kör, Novi Sad. 1993–1999 editor at the Prometej Publishing House, Novi Sad. Since 1999 artistic director of the international video art festival VideoMedeja, Novi Sad. He lives in Budapest, HU.